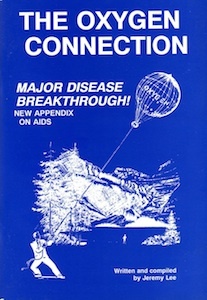 It is well documented that for over one hundred years, a quiet multitude of patients and doctors have used special forms of ozone, hydrogen peroxide, magnesium peroxides combined with ozonides, "stabilised oxygen" products, and other Singlet oxygen delivering substances to successfully detoxify the human body and eliminate disease. However effective each of these substances may be, none of them has thousands of practitioners using them daily and reporting their effectiveness like OZONE has, coupled with the availability of an ongoing over 50 year medical track record. The way the ozone works as a disease treatment is so Simple that it befuddles the great minds. Unlike healthy human cells that love oxygen, the primitive viruses, which are found in many diseases are lower lifeform viruses. These viruses and related bacteria are anaerobic. That means these microbes cannot live in oxygen. Therefore, what would happen to these anaerobic viruses if they were to be completely surrounded with a very energetic form of pure oxygen called medical grade ozone? What if enough of this special form of oxygen/ozone were to be slowly and harmlessly introduced into the body every day over the course of a few months, while bypassing the lungs and saturating every fluid and cell with it? Can't live in oxygen ... surrounded with oxygen. That is the subject of this article.